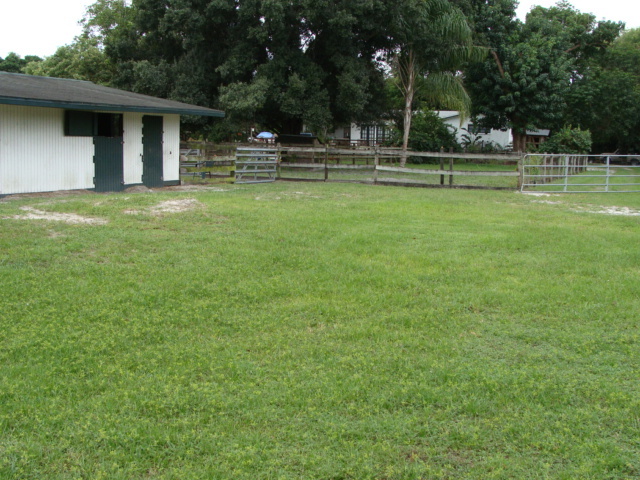 Horse boarding Davie, Florida offering individual stalls with private shaded pastures providing 24-hour access to turn-out. We also have a CBS main barn that provides 24-hour access to pastures. 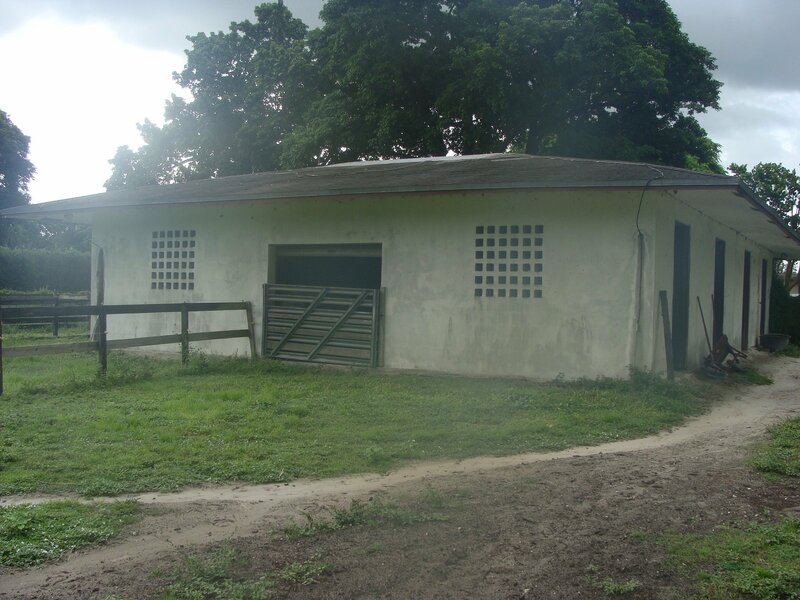 Our horse boarding facility in Southwest Ranches near Davie, Florida has four separate barns in four large, shaded pastures, so horses have the option to be in their stalls or outside in the grassy fields. Horses can be secured in the stalls if needed. Horses in multi-horse pastures are confined in their stalls during mealtimes so that they all get their full rations of top quality hay and grain fed twice daily. 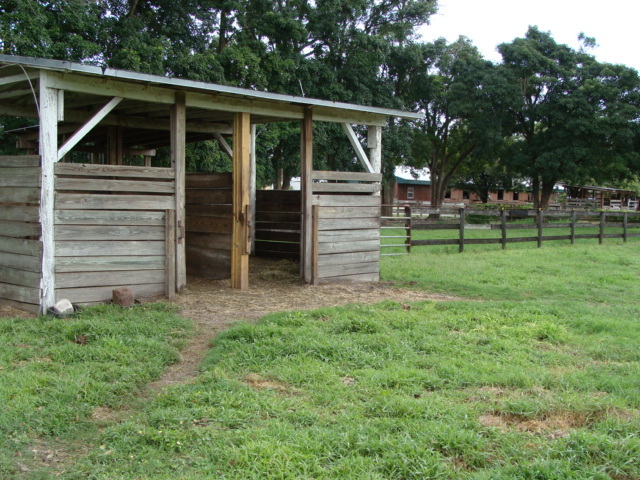 In our main CBS barn we also have a 12×14 stall with its own small paddock for any horse that may need more confinement. The property owner lives on the premises, providing 24-hour security and surveillance. Trailer parking for boarders is included. Our Davie horse boarding facility is just down the street from the beautiful 20-acre Sunshine Ranches Equestrian Park, which contains two large riding rings and trails winding through the lush landscaping and past the lakes. It’s also easy to reach Vista View Park in Davie and the entire Davie trail system. 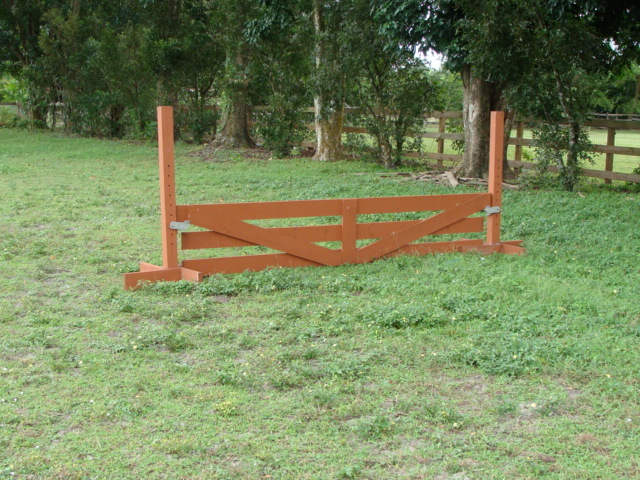 If you prefer to ride on the property, we have a large riding area that includes a jump course.